Cherry Blossom season already started with Kawazuzakura! The current cherry blossom forecast says that cherry blossoms will be full bloom at the end of March in Tokyo. Even so these are the most popular cherry blossoms, which you can find everywhere around the country, you can already enjoy some blossoms now. 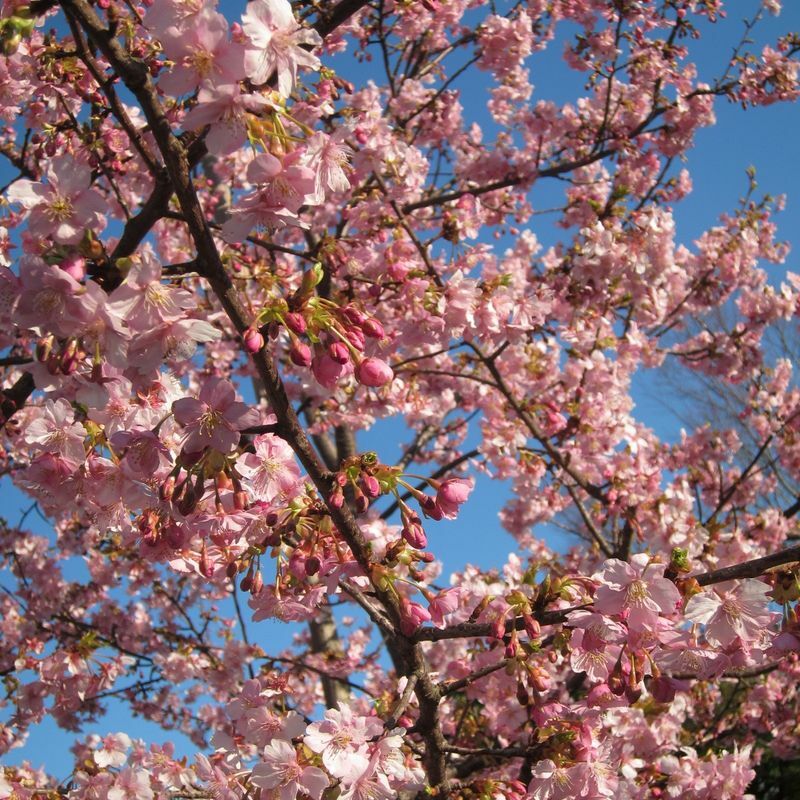 The Kawazuzakura is a very early blooming cherry tree, which is blooming from the beginning of February to early March. 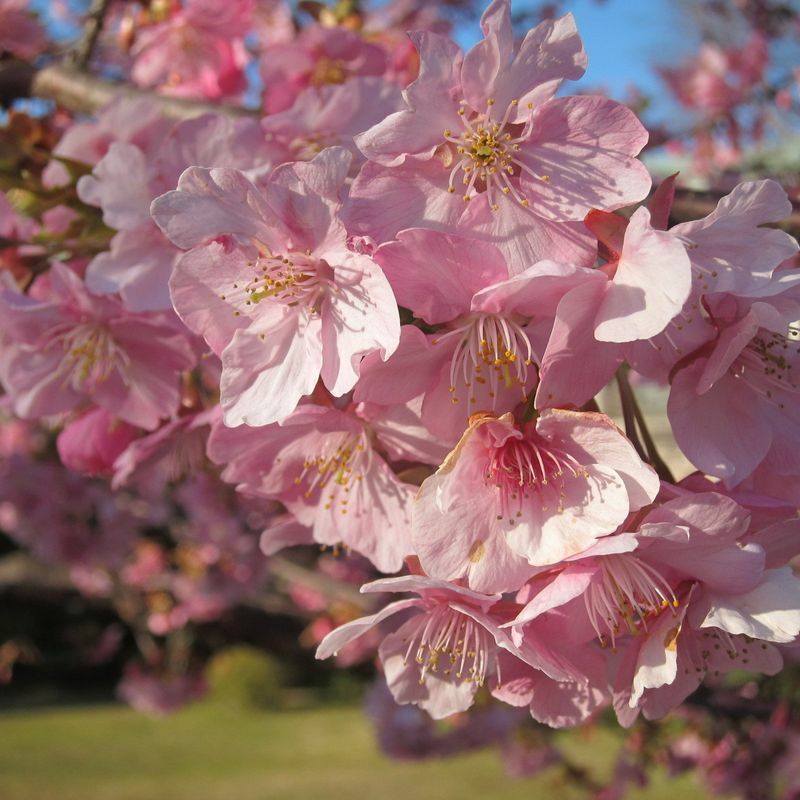 These cherry blossom is a five petals sakura in a soft pink tone and usually a little bit bigger than usual cherry blossoms. Also these cherry blossoms last way longer than all others in Japan. The name Kawazusakura comes from a little town at the Izu Peninsula (Shizuoka prefecture) where you can find a large number of those cherry trees. Every year the town celebrates the Kawazu sakura matsuri which will be held from 10th February to 10th March 2018. Alternatively you can find also some of those trees in Tokyo. If you are already seeing some cherry trees fully blooming it will be for sure a Kawazuzakura. 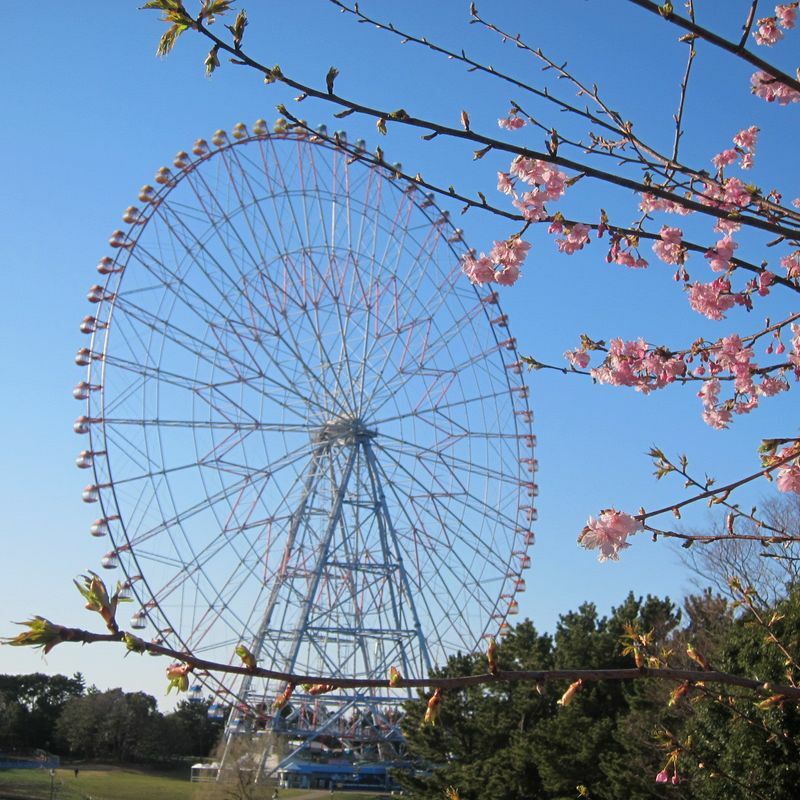 If you want to make sure to see one of those beautiful cherry trees, you can visit the Kasai Rinkai Park, close to the Tokyo Disney Land. 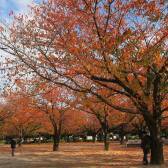 The park has a few of Kawazuzakura trees and also some other earlier blooming cherry trees. Before the big cherry blossom season starts you should check out the beautiful Kawazuzakua!